At Digital Pac Incorporated, we manufacture USA, Orange County made marketing promotional boxes / kits designed to catch the eye of your clients. 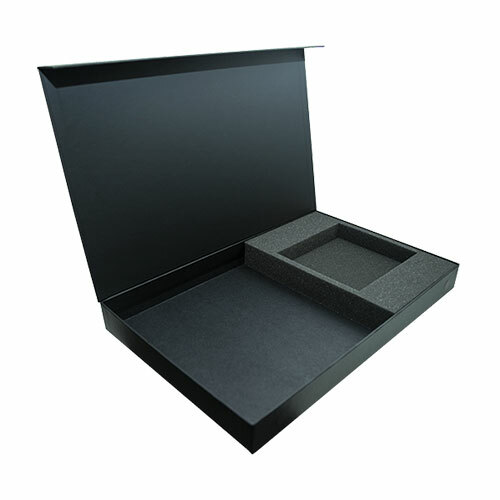 Beautifully crafted using the finest materials and manufacturing techniques, our marketing promotional boxes are a fantastic way to introduce your brand new products to the market. Packed with enough creative possibilities to satisfy your every want and need, Digital Pac Inc.’s marketing promotional boxes bring out the best in what you have to offer. With experience spanning over the last five decades, Digital Pac Incorporated has firmly positioned itself as the leading supplier of marketing sample kits in Orange County. With countless options in design, material, and decorating, the possibilities are limitless. In the interest of helping bring your creation to life, our team of specialists are prepared to craft custom presentation packaging, in the precise size related to your specifications. In addition to being built to scale, this custom presentation packaging contains inserts manufactured to prop your products perfectly into place. Between this custom presentation packaging and the highly-customizable nature of the marketing sample kits, customers are guaranteed a product entirely personal to their original vision. At Digital Pac Incorporated, we sell marketing promotional boxes designed to catch the eye of your clients. Beautifully crafted using the finest materials and manufacturing techniques, our marketing promotional boxes are a fantastic way to introduce your brand new products to the market. Packed with enough creative possibilities to satisfy your every want and need, Digital Pac Inc.’s marketing promotional boxes bring out the best in what you have to offer.